Played my Junior hockey in Prince Albert Raiders . 1979-1982- played on back to back National Championships, was drafted by the Chicago Blackhawks in 1982, went to College on a scholarship to University of Minnesota-Duluth 1982-1985, played on 2 league championship teams, played in 2 Final Fours, lost in the longest National championship game in NCAA history to Bowling Green in 1984. was the 1985 Hobey Baker Memorial Award winner! 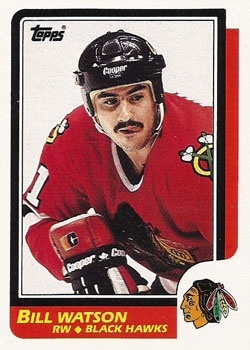 turned pro with Chicago in 1985, played for the Hawks from '85-89, also worked for the Hawks as a scout from 94-01.